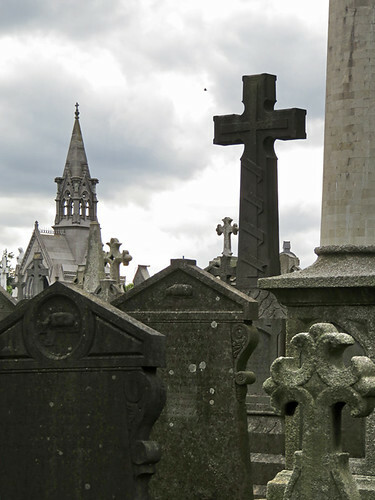 My neighbour told me one of the highlights of her time in Dublin was a tour of the Glasnevin Cemetery which was really a tour of the 19th century history of the city. 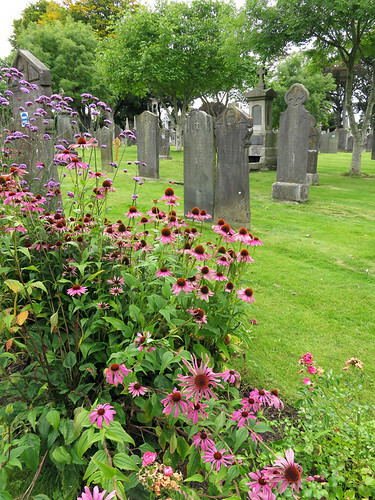 We never found the tour but we did wander around the historic Victorian cemetery which was right next to another must-see in Dublin, the Botanical Garden. 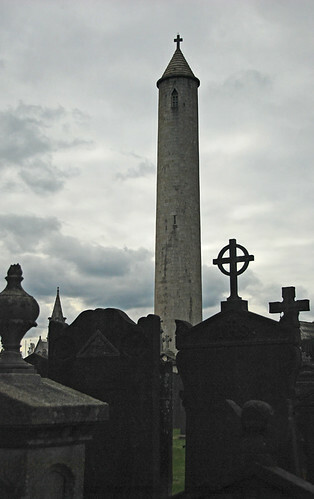 From Wikipedia: The high wall with watch-towers surrounding the main part of the cemetery was built to deter bodysnatchers, who were active in Dublin in the 18th and early 19th centuries. 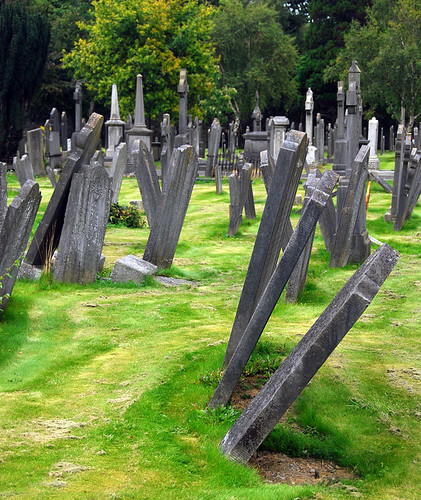 The watchmen also had a pack of blood-hounds who roamed the cemetery at night. 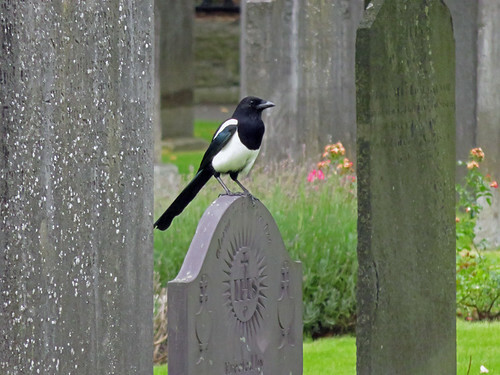 A photogenic magpie. 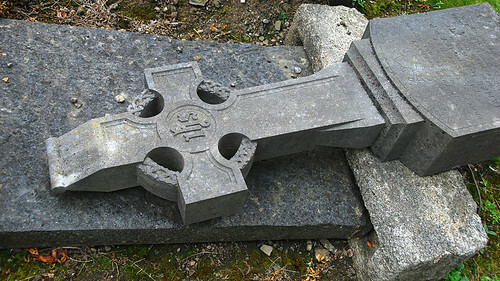 Although they are slowly working through repairing the headstones, many are left falling over. 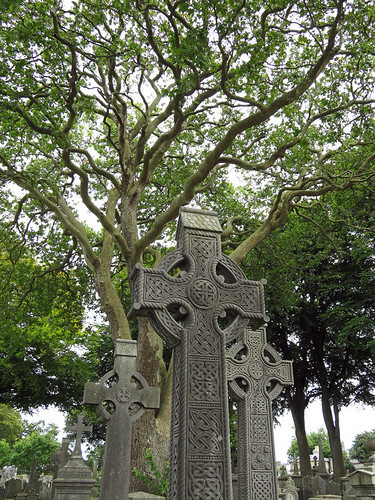 Celtic crosses with their distinct shape and often intricate carving of Celtic knotting. 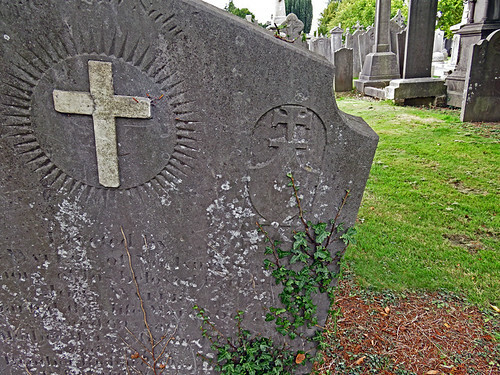 Even without the tour there are sad stories told on the crosses and tombstones in the cemetery. 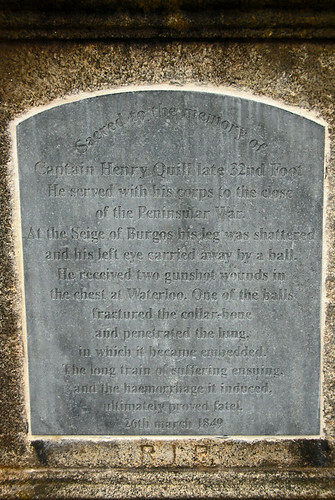 Another story, is perhaps too faint to be read in this photo so I will write out an excerpt: ‘Captain Henry Quill… served his corps to the close of the Peninsular War. At the siege of Burgos his leg was shattered and his left eye carried away by a ball. He received two gunshot wounds in the chest at Waterloo. One of the balls fractured the collar-bone and penetrated the lung in which it became embedded. 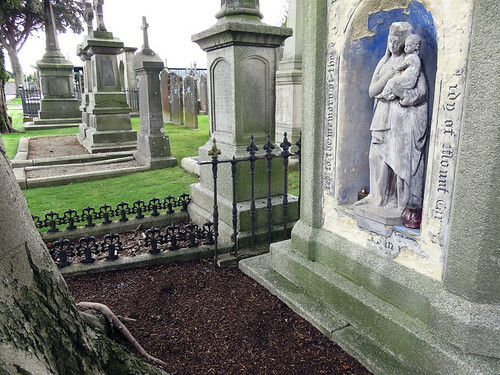 The long train of suffering ensuing, and the haemorrhage it induced ultimately proved fatal…’ The cemetery is right next to the Botanical Gardens and often the flowers spill over. 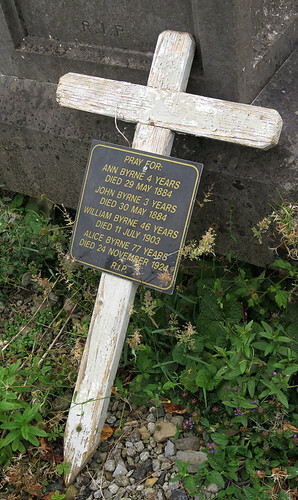 Each day the gravediggers would come into the bar, and the pub would give them a free pint for carrying out such a thankless and unpleasant job. The name stuck. 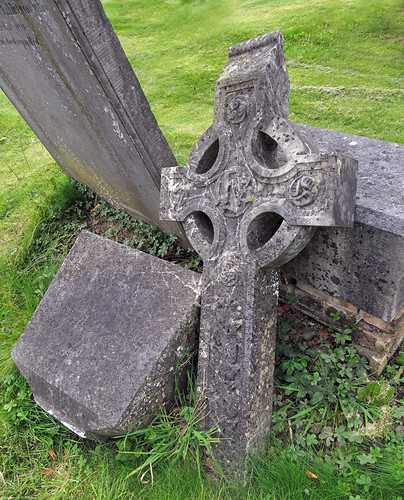 More on Cee’s Fun Foto Challenge: Tombstones or Cemeteries.